Never before has there been a more dynamic, innovative, opportunity-rich time to pursue a career in business and business-related fields than there is today. You’ll gain a strong foundation in the necessary principles and practices of marketing and be prepared to make an immediate impact upon graduation. 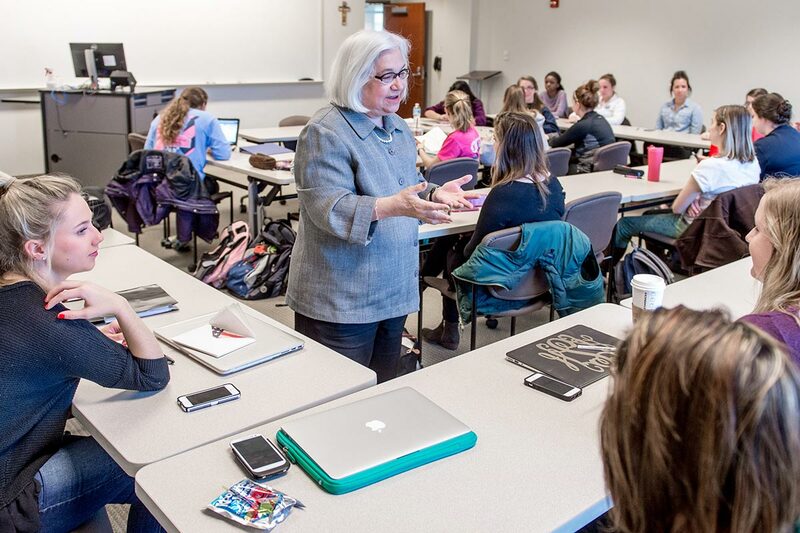 The marketing program blends valuable classroom instruction from faculty who bring extensive real-world business experience with an abundance of opportunities to apply what you learn in real, meaningful ways. The program curriculum covers all aspects of business administration, plus aspects of marketing, including advertising and promotion, marketing research, buyer research, sales, international marketing, and marketing management. In your senior year, you’ll take the BBA comprehensive examination, which will test your technical competencies as well as your communication, analytical, quantitative, and problem-solving skills. As part of the program’s advanced writing proficiency requirement, you’ll submit a portfolio of three papers from business courses with at least one coming from a marketing class. The ability to write as a business professional is critical. The emphasis we place on developing your writing skills will demonstrate the breadth of your skills and talents to prospective employers and graduate schools.